A figure skater's progress is measured by a series of tests which are governed by two skating associations, United States Figure Skating (USFS) and Ice Skating Institute (ISI). 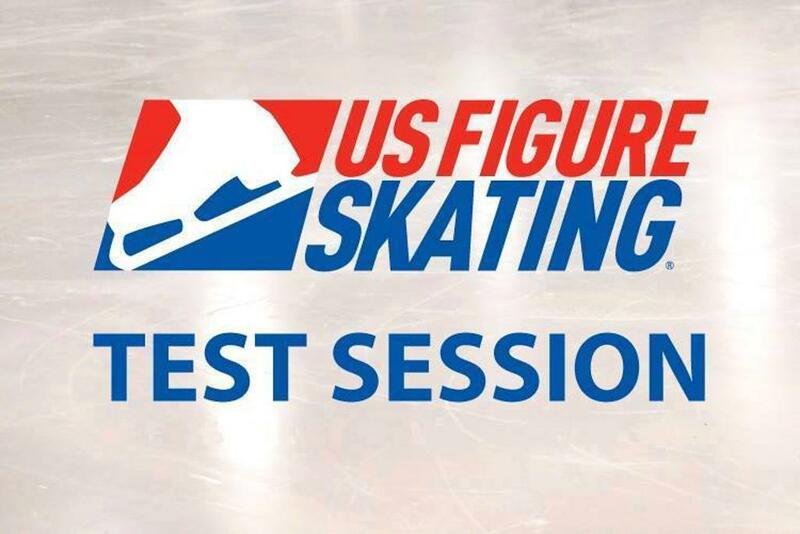 SCFSC conducts test sessions throughout the year, offering Moves in the Field, Freestyle, and Ice Dance evaluations. The tests establish levels of skating in each discipline for competitive purposes. All sanctioned competitions group skaters according to their passed test level. This allows skaters of similar abilities to compete against each other. These abilities are proven by passing the official USFS or ISI tests, taken in front of judges at designated test sessions. Many skaters participate in testing and competitive skating, both a challenging and an enjoyable aspect of the sport. The test sessions hosted by SCFSC allow a skater to test their skating achievements in a positive and friendly atmosphere. The tests refresh project, approved by the 2017 Governing Council, goes into effect Sept. 2, 2018. A marking transition from the 6.0 scale to a mark on a -3 to +3 scale. Two new passing categories will be added: “pass with honors” and “pass with distinction.” To earn honors or distinction, a majority of the panel must mark the test at that level or higher. For example, in a three-judge panel, if the results were pass, honors and distinction, the overall result would be honors. Three marks, elements, skating and program, will now be used for singles free skate, pairs and free dance tests. For pattern dance tests, the three marks are technique, timing and expression. The serious error restriction rules, which mandated a retry test result, will be removed, allowing judges to use their judgment about the composite of the test while taking into account the prevalence and severity of error to determine the test result. SCFSC typically offers 3 test session each year - May, August and November. All test sessions are held at the Municipal Athletic Complex (MAC) in St. Cloud. Registration deadlines typically are 14 days prior to the test date. Test schedules will be emailed to test participants and posted on the SCFSC website test page a week after the posted registration deadline. All registration fee's must be paid online and completed prior to the schedule being sent out to test participants. No refunds will be made after the posted due date. Refunds for Contingent Tests - refunds will be made for any contingent tests not taken within 30 days of the test session. A skater must be in good standing with their club in order to test. To test with SCFSC, please complete the Permission to Test form and return prior to testing with SCFSC. In the event there are too many applicants for a test session that our ice time will allow, the skaters will be allowed to test based on the following membership priority: 1) home club members, 2) associate club members, 3) guest candidates in order of date registered first. Please check the Twin City Figure Skating Association test calendar for test sessions at area clubs. Test fees may differ. To test at another club, your account must be in good standing with SCFSC and you must also complete a permission to test form which can be found on the clubs website you are testing at. Note about Dance Tests - we have judges available to judge pre-gold dance and below. Our dance partner is Jamie Burns, St. Paul FSC. Refunds for Contingent Tests - refunds will be made for any contingent tests not taken within 30 days of the test session. Test schedules will be emailed to test participants and coaches and posted on the SCFSC website test page a week after the posted registration deadline. All registration fee's must be paid online and completed prior to the schedule being sent out to test participants. No refunds will be made after the posted due date unless for medical reasons and a note from a doctor. There will be a $20 processing fee for any refunds prior to the due date. A late fee of $15 will be added to your registration if registering after the posted due date. If you are NOT a member of the St. Cloud Figure Skating Club, you must complete a permission to test from with approval of your club’s test chair. If you are in need of a form, here is a standardized Permission to Test form. If you are testing a Freestyle Program at any test session, you are required to complete the Planned Program Content form and submit it to the test chair prior to the test date.